The First Bright RED Flowered Hydrangea! Invincibelle Ruby Hydrangea (Invincibelle™ Ruby Hydrangea arborescens ‘NCHA3’ PPAF) is the first ever red flowered hydrangea – not some shade of pink, but an almost true burgundy red.The red blooms start out a deep burgundy in the summer and slowly fade to a bright red and silvery pink – a truly eye-catching color combo. The flowers just keep coming all summer and into fall, too. The massive blooms are held high on strong stems that are great for cutting. It only takes one of these huge flower blooms to fill a bowl on your table.Invincibelle Ruby has large deep green leaves that really give the flowers center stage. This is a garden showpiece for sure.Only growing 4 foot tall and 3 feet wide, Invincibelle Ruby looks great in mixed borders, foundation plantings and even in large containers. It’s a ‘must have’ in mass planting and for naturalizing a garden. Any real cutting garden is empty without one, too. (The dried flowers look great if left on the shrub all winter, but they are fantastic if dried and brought inside for the dreary winter months. )Your garden will be revived when you plant Invicibelle Ruby. Songbirds and butterflies love it and it will bring you months of ruby-red enjoyment. Order yours today. * True red flowers * Loved by songbirds and butterflies * Great for cutting and naturalizing * Proven Winners® selection. Adorable, Late-Season White BloomsThis Hydrangea is as sweet as its name. Little Lamb (Hydrangea paniculata ‘Little Lamb’) has the smallest and most graceful flower petals of any hydrangea on the market.Even though the petals appear delicate, Little Lamb is from hardy stock. 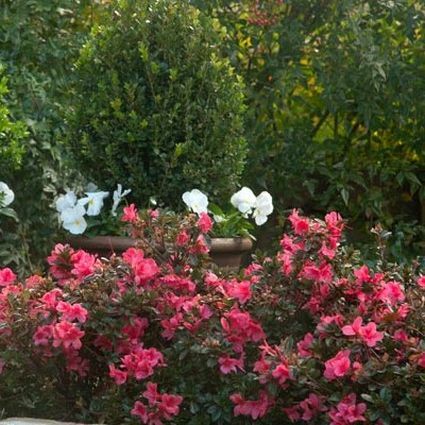 Originating in Belgium, this compact shrub can handle just about any garden situation.The flowers are lambs-wool white and get a sweet little pink-cheek blush on them as they age. 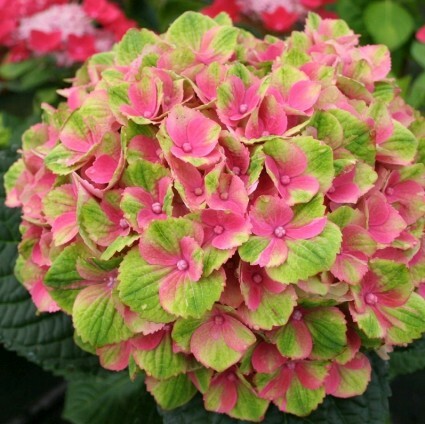 Unlike many hydrangeas, though, soil ph doesn’t affect the color. No need to fuss over the acidity of the bed or worry that your blooms will turn blue or hot pink if you haven’t got it just right.The white flowers are held high above the green foliage for a really long bloom season, from summer through fall. There are so many of the little “lambs” on the shrub that you will be cutting armloads of flowers to bring inside or give away all season long. The flowers dry beautifully, too, so you can save some for winter decorating.Little Lamb is a Proven Winners selection, so you can be assured that planting this exceptional Hydrangea will provide superb performance in your yard this year. 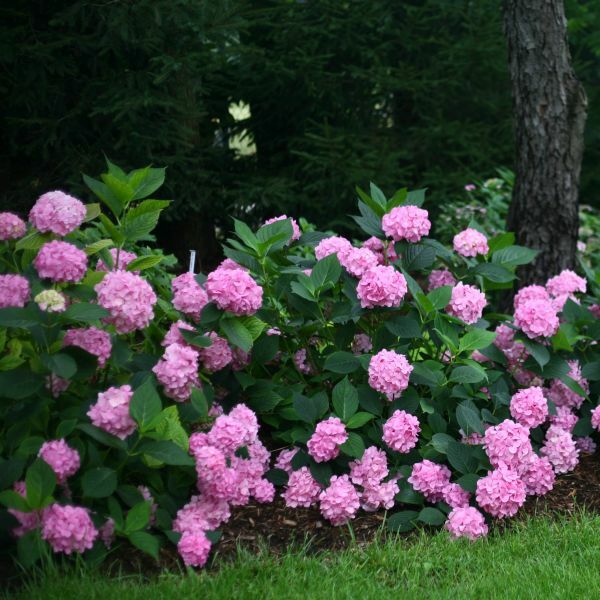 Use it to fill in between larger shrubs in your border or foundation planting.Nature Hills has a limited selection of this in-demand hydrangea, so don’t wait to order yours! 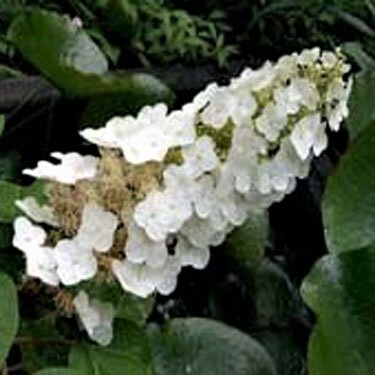 * Delicate white flowers * Urban tolerant * Great for cut and dried flowers * Adaptive to a variety of soils Pruning Woody Hydrangeas. Perfect wedding bouquets!Dash to the nearest magazine stand and thumb through a few of the wedding magazines. Go ahead. We’ll wait.Did you notice how many of the pricey wedding bouquets had hydrangeas in them? Or how many of those hydrangeas were a rustic antique white and celery green that seemed to go with every other flower and every wedding dress? 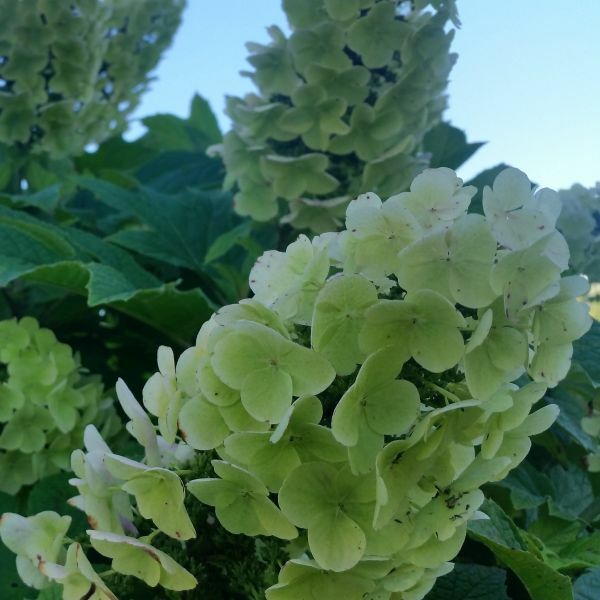 That flower was probably Everlasting Jade (Hydrangea macrophylla ‘Hortmaja’ PPAF).Wouldn’t you want that beauty in your own cutting garden at home? Well, now you can have it! Nature Hills is proud to offer this gorgeous hydrangea to you.Everlasting Jade was bred in the Netherlands for the cut flower trade. That means super-strong straight stems and tough florets that last for days in the vase. Only 3 feet tall and wide, this little beauty is a flower powerhouse that will fit into any garden, in sun or shade. The flowers start out apple green, fading to antique white and then the cool weather of autumn turns them celery green with red tips. Everlasting Jade will keep you mesmerized all season!These beauties are in limited supply since they are so sought after for the florist trade, so don’t wait. 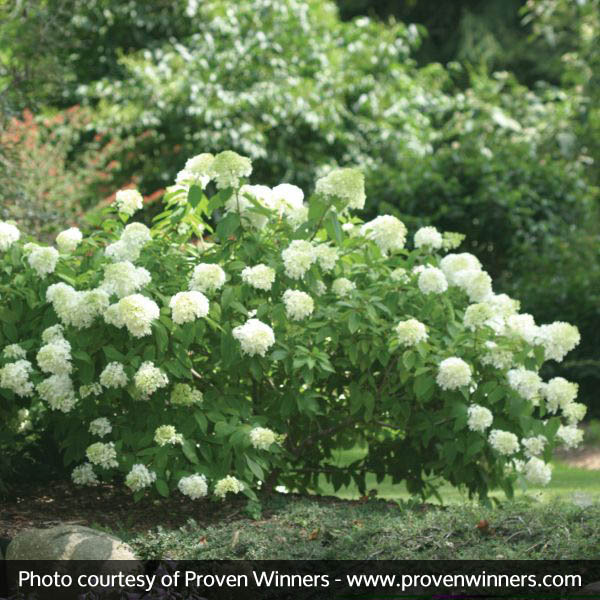 Buy Everlasting Jade Hydrangea on sale today! * Gorgeous cut flowers * Easy to grow * Trendy green and white color * Vigorous bloomer on both new and old wood * Great fall color. 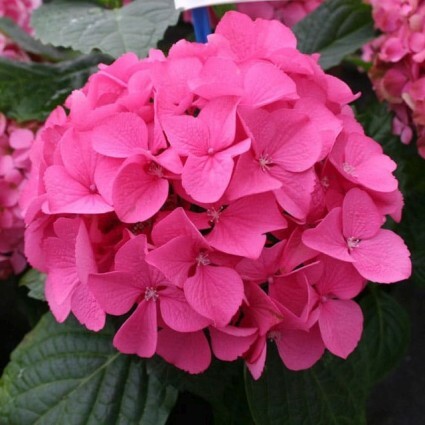 Hydrangea – Princess Beatrix, Hydrangea macrophylla ‘Princess Beatrix’, produces beautiful crimson-pink blooms that stand high above the foliage, making this seem like a florist’s bouquet without cutting! 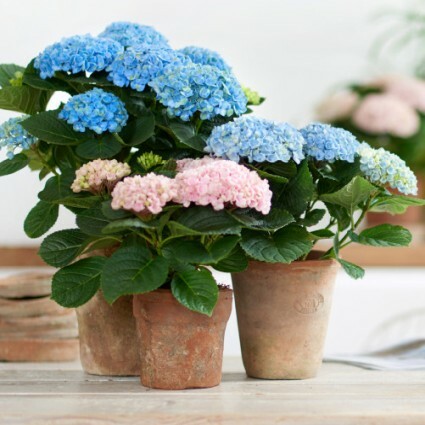 Princess Beatrix is a moderate sized (four feet tall and wide) hydrangea that is very free-flowering. Its blooms turn an outstanding red color in the fall and is a favorite for cut and dried flowers. 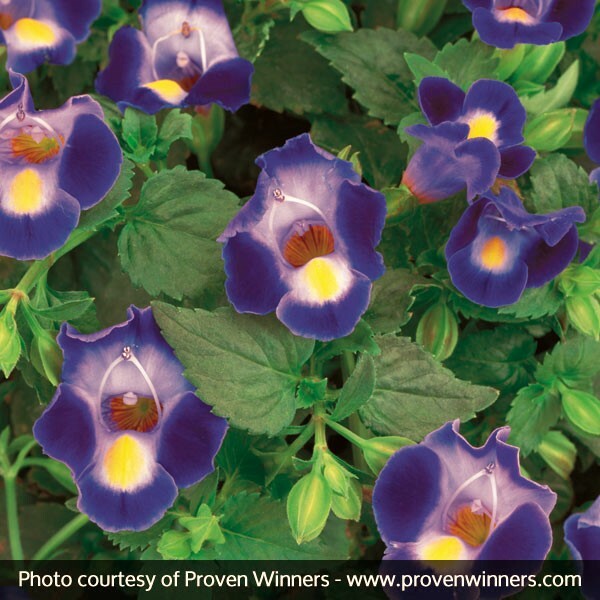 It prefers rich, loamy soil that is moist, but well-drained and does well in full sun or part shade. 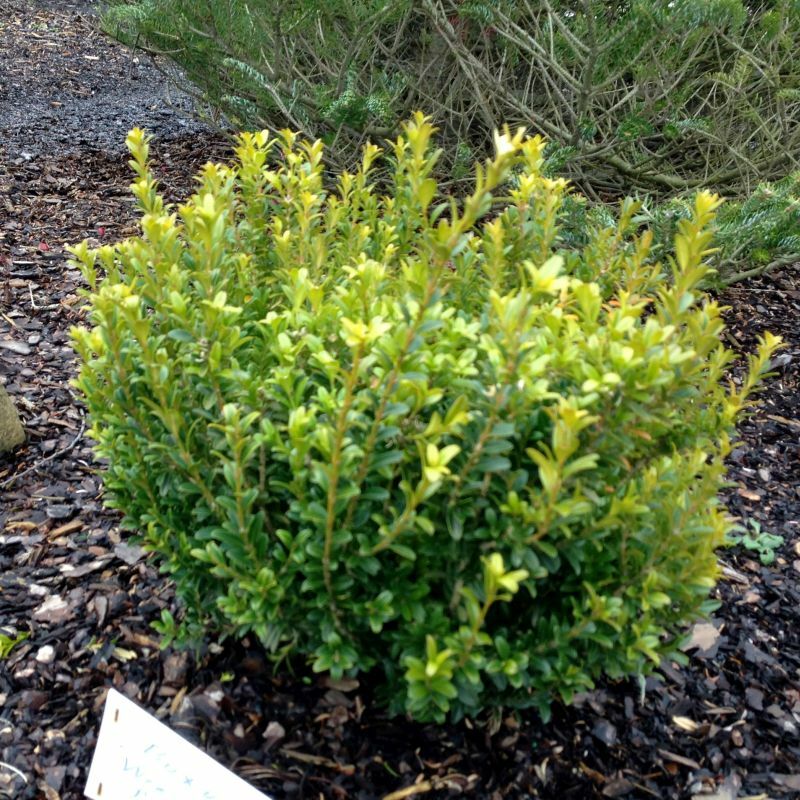 Princess Beatrix can be planted in a mixed shrub border or at the back of a flower bed. 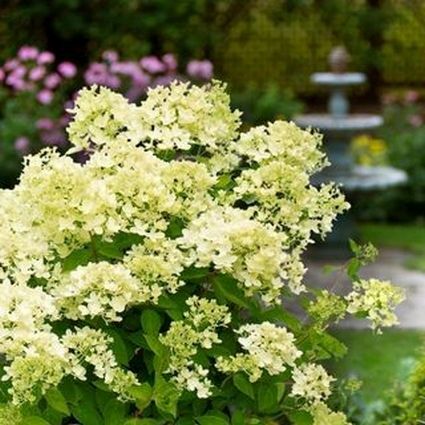 Its rich foliage and stunning flowers make it a wonderful background for white or light colored flowers, even tall growing perennials and annuals..
Hydrangea with Brilliant Yellow FoliageLemon Daddy is a variety of Hydrangea beloved for its brilliant yellow foliage. 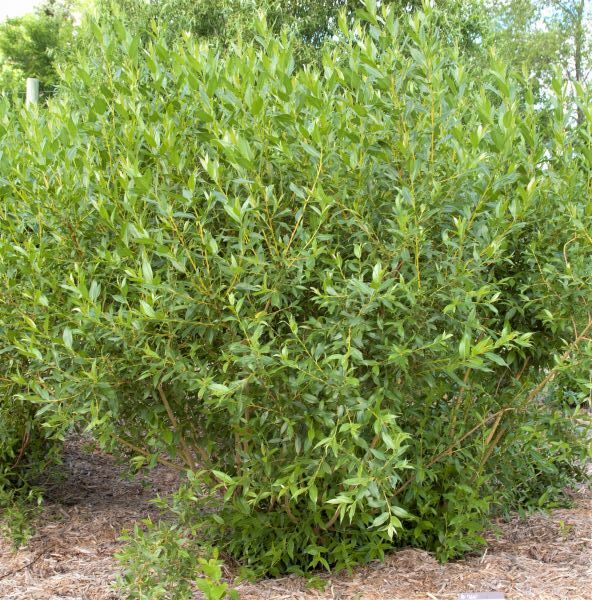 It would make an excellent accent plant in your yard or place several along an outbuilding for a decorative, short hedge.Summer/fall is your Lemon Daddy’s time to shine with its sun-kissed, yellow foliage and dramatic flower heads. 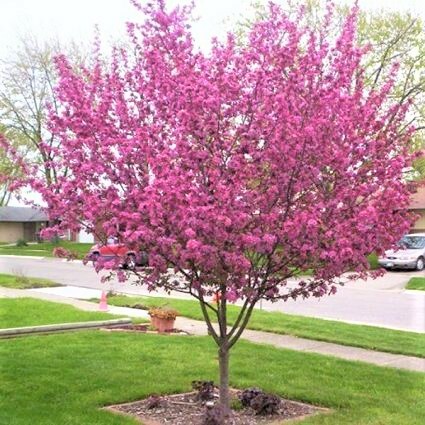 It will certainly be a spectacle in your yard that turns heads all season long. The shiny foliage is sure to brighten up your landscape even when it’s not in bloom. However from July until September the giant mophead flowers will make their appearance with 12-inch blooms creating an astonishing sight to see amid the shiny, yellow leaves. The color of the flowers is dependent upon your soil ph (more blue in acid soils), but will be blue or pink accordingly.Lemon Daddy is a multi-stemmed deciduous shrub. 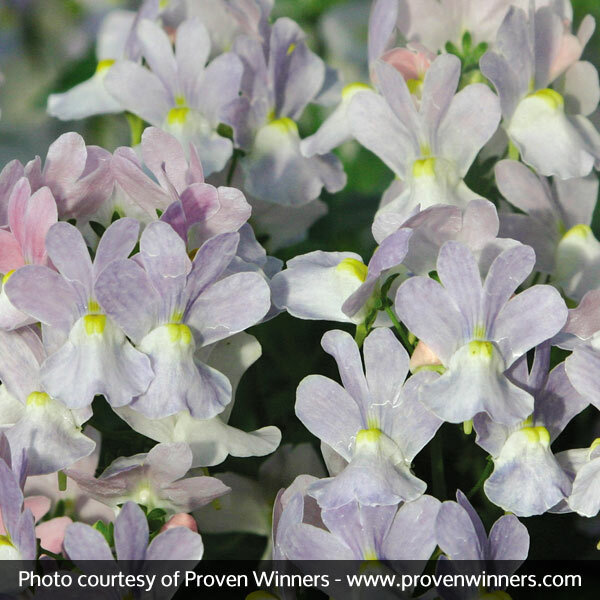 It is a vigorous grower with a lovely rounded habit and loves heat and humidity. Once established, your Lemon Daddy will be a repeat performer and require very little care. With optimal conditions, you can expect your Lemon Daddy to be with you for up to 20 years. Lemon Daddy not only has a lot to offer, but it offers it for a very long time. *Brilliant foliage*Giant flowers. Rose Pink RebloomerHydrangea Let’s Dance Moonlight, Hydrangea macrophylla ‘Robert’, is a new series that represents the next generation of reblooming hydrangea!These floriferous varieties bloom on both new wood and old, which creates an incredible display of color. Let’s Dance Moonlight Hydrangea is a strong rebloomer with large, rich rose-pink (or blue depending upon pH) mophead flowers that are held on sturdy stems.Moonlight Hydrangea has a wonderful compact habit, growing to only 2-3 feet tall. In autumn, the healthy foliage takes on rich bronze red tones for additional interest late in the season.Moonlight Hydrangea is very adaptable, but performs best in rich, well drained, moist soil. 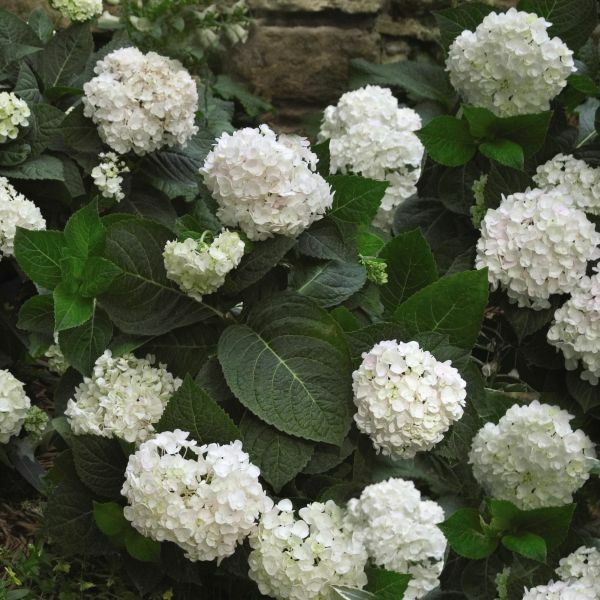 If you plant this hardy hydrangea in full sun, sufficient moisture is required.During hot, dry summers additional watering will be required to keep it flowering. 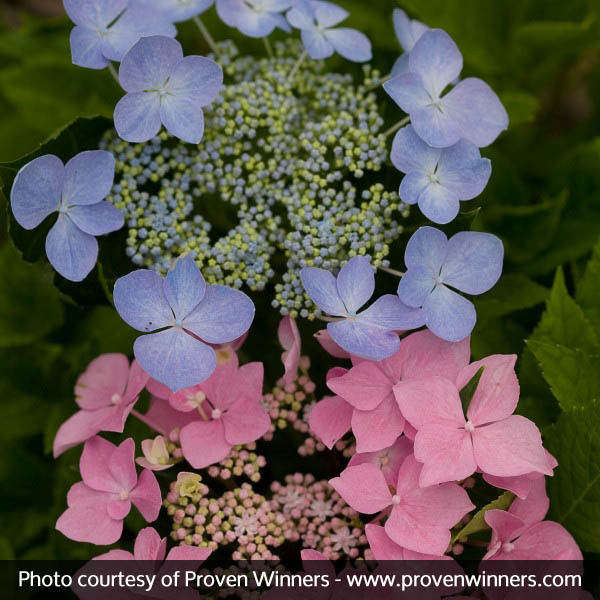 Bloom color is a rich pink that age to bright green.Blue flowers are producedo on the Moonlight Hydrangea in acidic soils. The best time to prune is after it blooms. * Rose Pink Flower Heads* Rebloomer* Full Sun to Part Shade. A Compact Oakleaf with Full Sized Blooms! Gatsby Gal Hydrangea (Hydrangea quercifolia ‘Brenhill’ PPAF ) is a dream of a hydrangea. The compact oakleaf shrub (compact for a hydrangea – it grows 4’-6’ tall) has massive blooms, growing a full foot or more long. The pure white panicles make an impressive display from mid-summer to autumn. Planted in groups, it can look like a foot-thick snow bank has landed on top of the shrub.This shrub was named the “Must-Grow New Shrub for 2014” by Better Homes and Gardens Magazine, and it definitely fits the bill.Gatsby Gal Oakleaf Hydrangea is a great back of the border shrub or a splendid foundation plant. The graceful white blooms look good with almost any type of landscape, making this a very versatile addition to your garden. 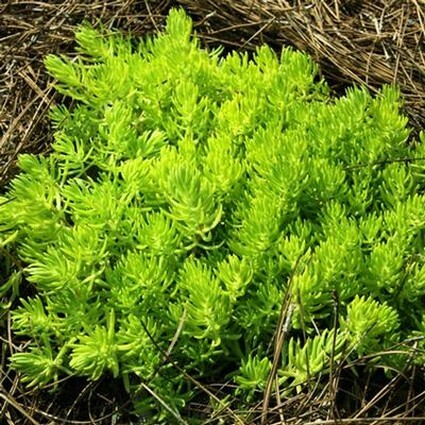 This is already a tidy pant, but it takes pruning well if you need it even tighter.This is an American native plant and handles almost any soil or weather that you can throw at it. It blooms beginning in mid-summer, but will continue blooming through the fall, when the leaves and flowers begin to take on burgundy tones. The blooms are steadfast, too, appearing every year no matter the weather or soil ph.You definitely want to invite Gatsby Gal to your garden party! 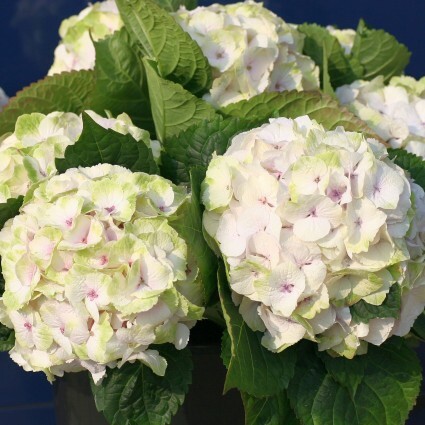 * Flowers are a foot or more * Compact hydrangea * Fall interest. Hydrangea with Unique Foliage and Stunning BloomsGuilded Gold (sometimes called gilded) is a variety of Hydrangea with unusual foliage and stunning summer flowers. 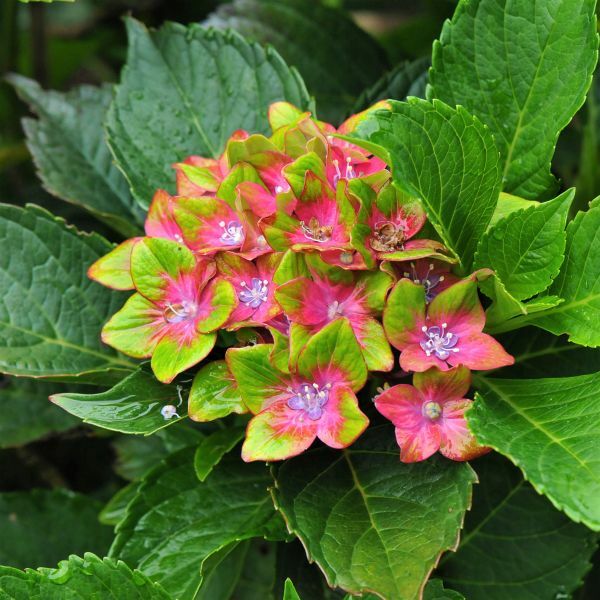 It would make an excellent accent plant for a flower bed in your front yard or any highly visible area of your landscape.Hydrangeas have long been beloved for their full form and gorgeous flowers, but your Guilded Gold goes one step further by featuring unusual foliage. 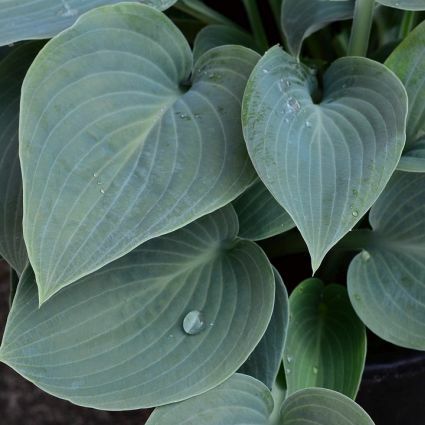 6-inch long, variegated leaves hug your Guilded Gold close to its stems creating a compact, mounded appearance. The robust leaves are a vibrant green accented with a golden-tipped elegance that is sure to draw the eye. Even without the spectacular summer flower, your Guilded Gold is a sight to see!When summer arrives you’ll be amazed by the large, long-lasting blooms that grace your Guilded Gold all season long. The flowers are a delightful soft shade of pink or blue lacecaps (depending upon your soil PH). You may find yourself holding your breath at your first sight of them and the charming lace-like feel of they display. Upon closer inspection you will see what appears to be a cluster of unopened buds encircled by large open petals, each flower giving the appearance of an ample garden bouquet. 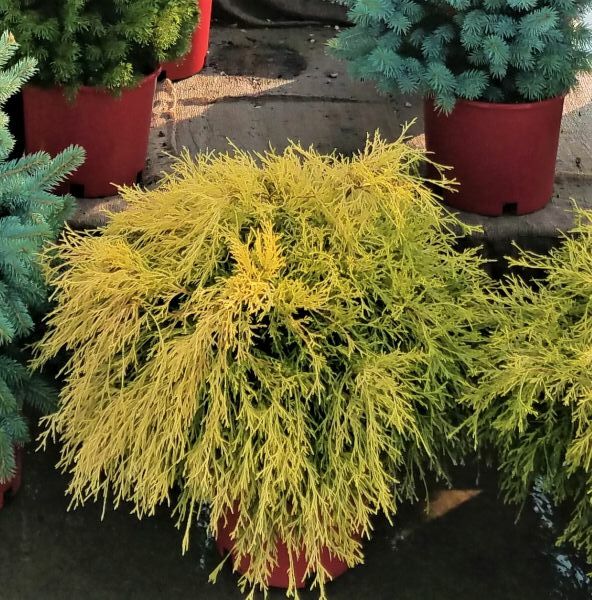 They are quite simply stunning!Your Guilded Gold is large enough to stand out well as an accent plant, but small enough to easily fit into the smallest yard. With its unusual foliage and outstanding blooms, Guilded Gold is a must have for any landscape. *Variegated foliage*Large summer blooms. 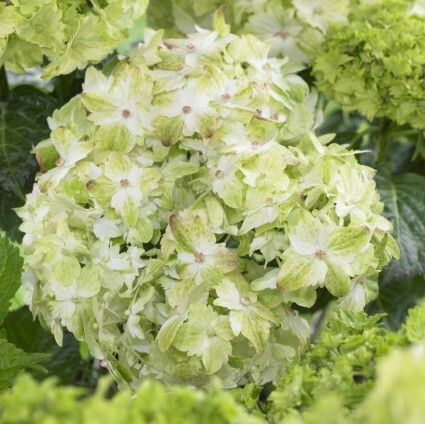 Haas Halo(hydrangea aborescens) Hydrangea with Superb Foliage and Lacey Blooms Haas Halo is a hardy Hydrangea with superb foliage and lacy-white flowers. It would look lovely as a foundation planting in your yard, or in a mixed border. As with most Hydrangeas, Haas Halo has a lot to recommend it. 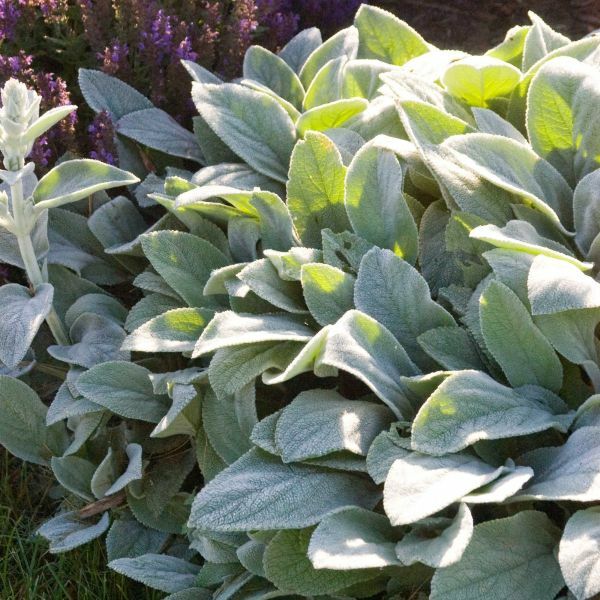 The large, leathery leaves are green with a delightful bluish hue that’s substantial enough to set it apart from your other summer plantings. 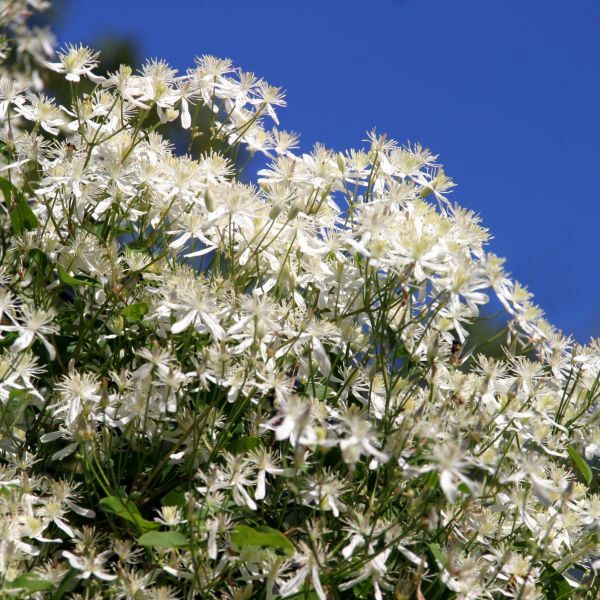 Flat clusters of pure white flowers appear in the summer, offset by lace-like blossoms in the center of the bloom. The petals surrounding the lacey centers give the impression of a “halo”, thus the name. Some of the flowers can reach over a foot in diameter! You’ll never have to stake your Haas Halo. 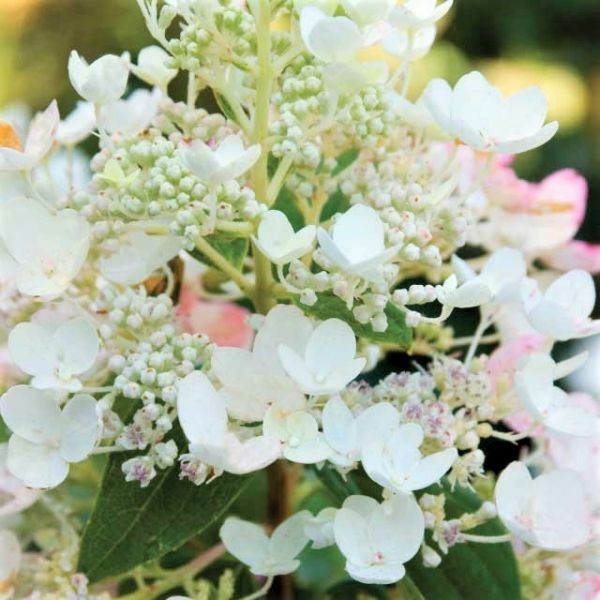 It’s an upright, bushy plant that is strong enough to hold up the huge blooms and avoid the drooping that other Hydrangeas sometimes struggle with. Haas Halo can handle drought, heat and humidity and will maintain its spectacular show well into fall. You can even prolong the beauty of your Haas Halo by cutting some of the blooms to bring indoors. They make a wonderful dried flower and work well in various floral arrangements and craft projects. 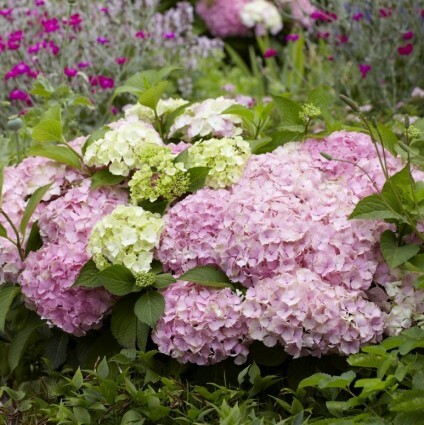 Hydrangeas have long been beloved by gardeners, and Haas Halo is a uniquely beautiful one with its colorful foliage and massive lace-like flowers. It’s perfect for a variety of locations and uses, and will certainly be an asset to your landscape. *Unique Lace-like Flowers*Lovely Foliage*Hardy. 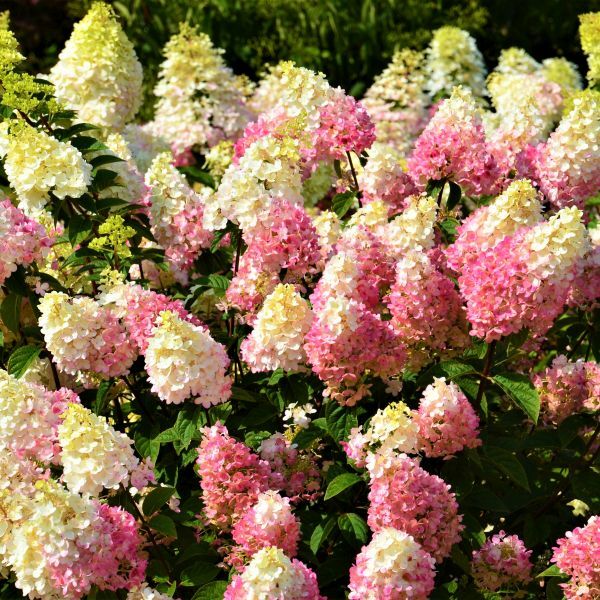 Petite Hydrangea with Giant Blooms Color Fantasy is a mophead Hydrangea with huge flowers but a diminutive size that is perfect for smaller areas. 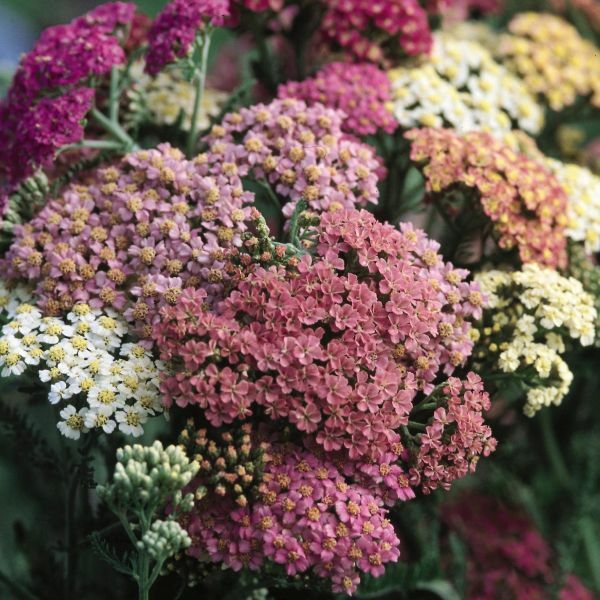 It would be a spectacular addition to your yard as a border or foundation planting.Your Color Fantasy is just as its name implies—a fantasy of color for your yard. 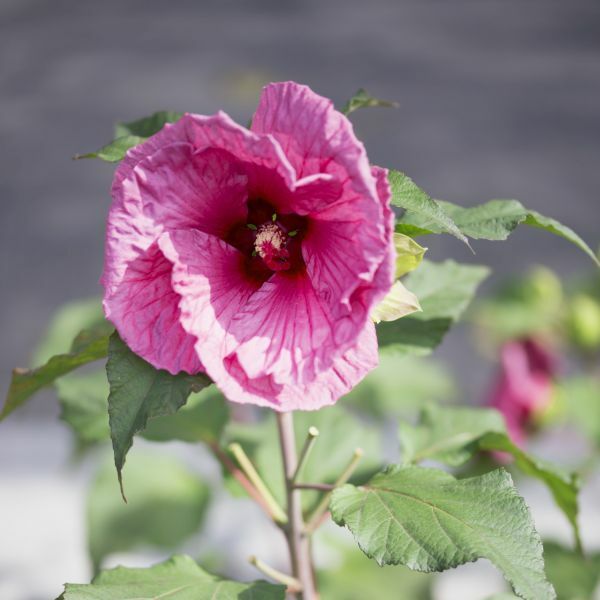 The large mophead flowers appear in clusters from May to June, their fantastic color an amazing shade of pink, red or purple depending upon your soil ph. 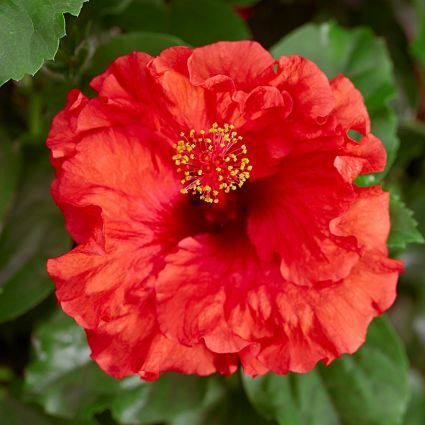 Left on the plant, the flowers will certainly be a head-turner for your yard, but be sure to cut a few blooms to bring some of that summer splendor indoors as well. The shiny, dark green foliage is a magnificent backdrop for the showy flowers and creates an even more brilliant display when the leaves turn a reddish shade in late summer.Color fantasy is a deciduous shrub that reaches a height of about 3 feet with an equal spread. It has a mounded form that creates a lovely silhouette in any yard, even without its spectacular flowers. Color Fantasy is a terrific way to have the incredible features a Hydrangea has to offer even if you don’t have much space. Plant one today and begin enjoying the unique benefits this amazing Hydrangea has to offer. * Incredible flowers * Fall color * Small stature. 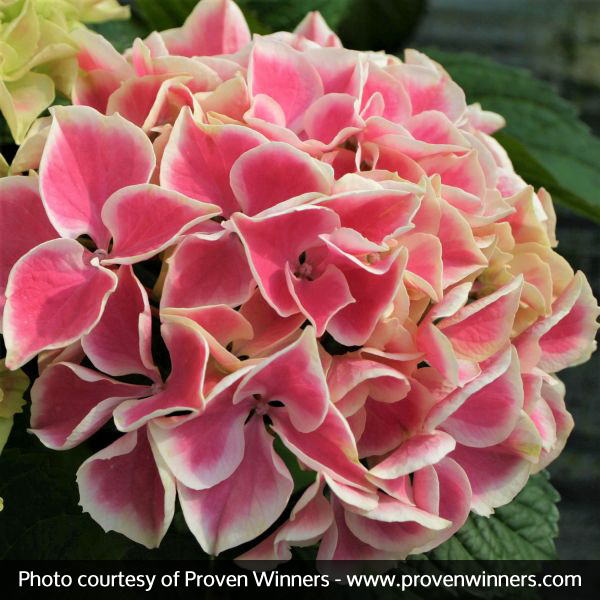 Hydrangea with Variable ColorYour Mystical Opal is a variety of Hydrangea with variable color. These would make outstanding accent plants for just about anywhere in your yard. Your Mystical Opal is a unique Hydrangea that will astound you with its changing colors. Large blooms consisting of ruffled, pink florets will appear in early summer and continue their show into fall. As the impressive floral heads mature, their pink tone merge with greens and yellows, reminiscent of the shimmering changeability of an opal stone. 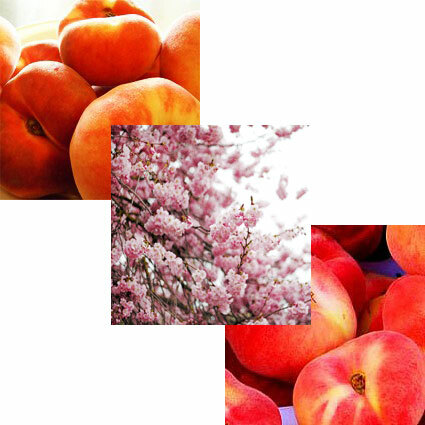 When fall arrives, those same colorful blossoms finish out the season as predominantly green with pink tips. 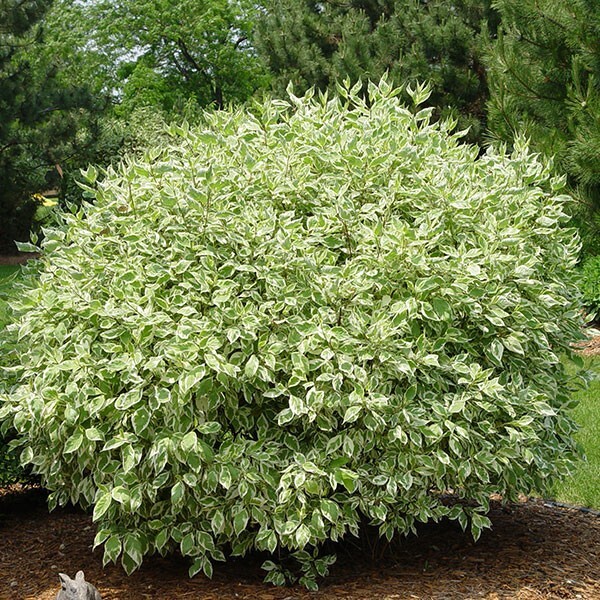 Your Mystical Opal is a deciduous shrub with an elegant, rounded form that is filled out nicely with its 4-8 inch leaves. It is fast-growing so you won’t have to wait long to see results. 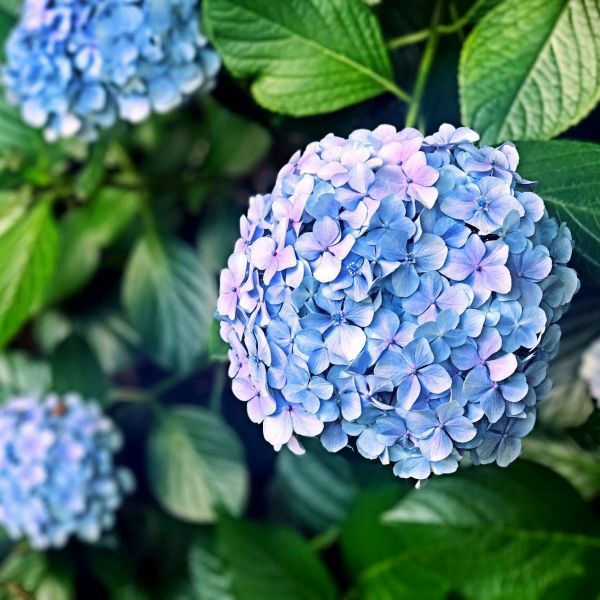 It’s even urban tolerant and great for naturalizing, so has a hardy nature that will ensure you don’t have to be a plant expert to successfully grow one.An ornamental shrub with unique flowers to brighten your yard all season long, Mystical Opal Hydrangea is a wonderful choice for your landscape this year. *Unique flowers*Hardy. Decorative Shrub with Panicles of Pink FlowersMystical Flame is a decorative shrub with long panicles of pink flowers. 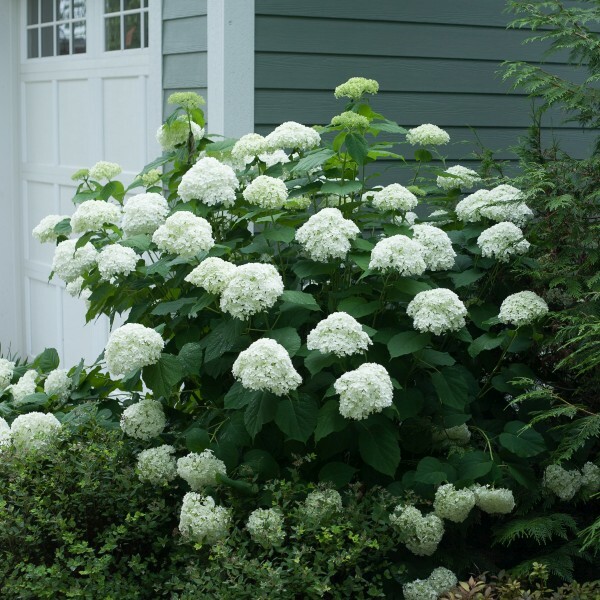 Plant one by the entrance to your house as a sunny welcome to visitors, or perhaps a few as a short hedge along the walkway.An early blooming Hydrangea, your Mystical Flame will begin its show before some other Hydrangeas have even gotten started. The long panicles of pristine, white flowers appear in mid-summer, an enhancement to the graceful vase-shaped habit your Mystical Flame displays. 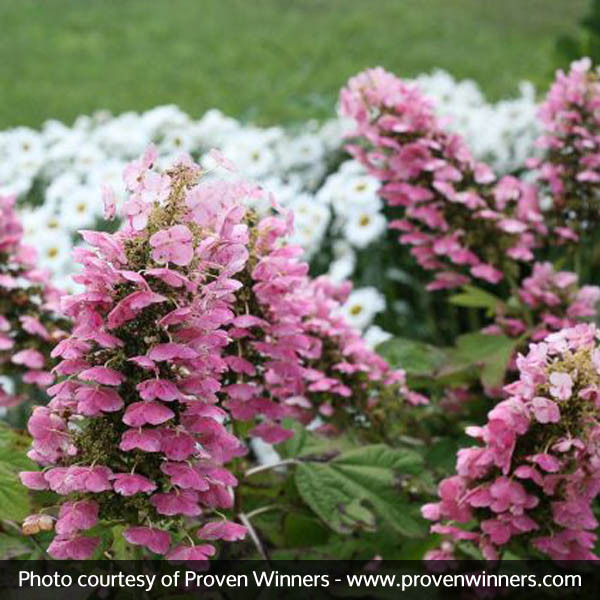 As the cooler weather arrives, those pretty white blooms will turn a delightful pink. 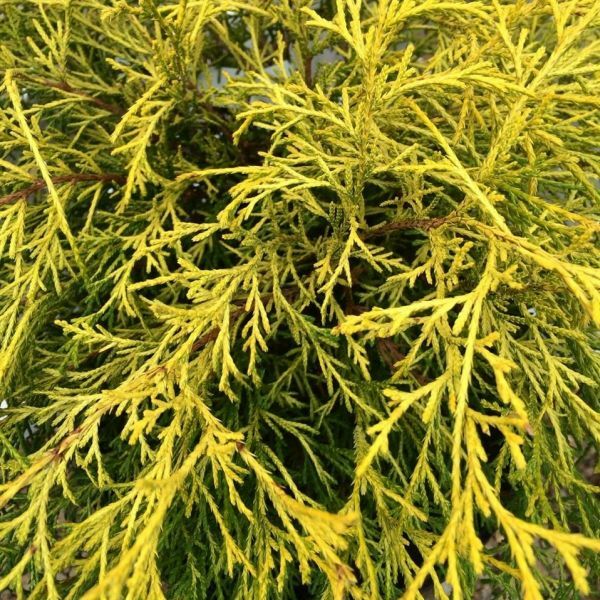 Various shades of yellow will enhance your Mystical Flame’s foliage in autumn for one last gasp of color before the season ends.Mystical Flame is a deciduous shrub with the floral panicles reaching up and beyond the leaves for quite a striking effect. 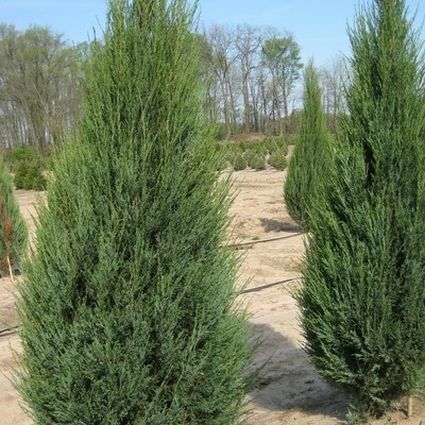 It works well for naturalizing and is tolerant of urban environments. You won’t have to wait long for results with your Mystical Flame as it is also fast growing. Your wildlife will treasure it for its summer blooms, which you can also use as a cut flower or easily dry to last through the winter months. Your Mystical Flame offers a lot of charm and beauty for your landscape and asks for very little investment in return. 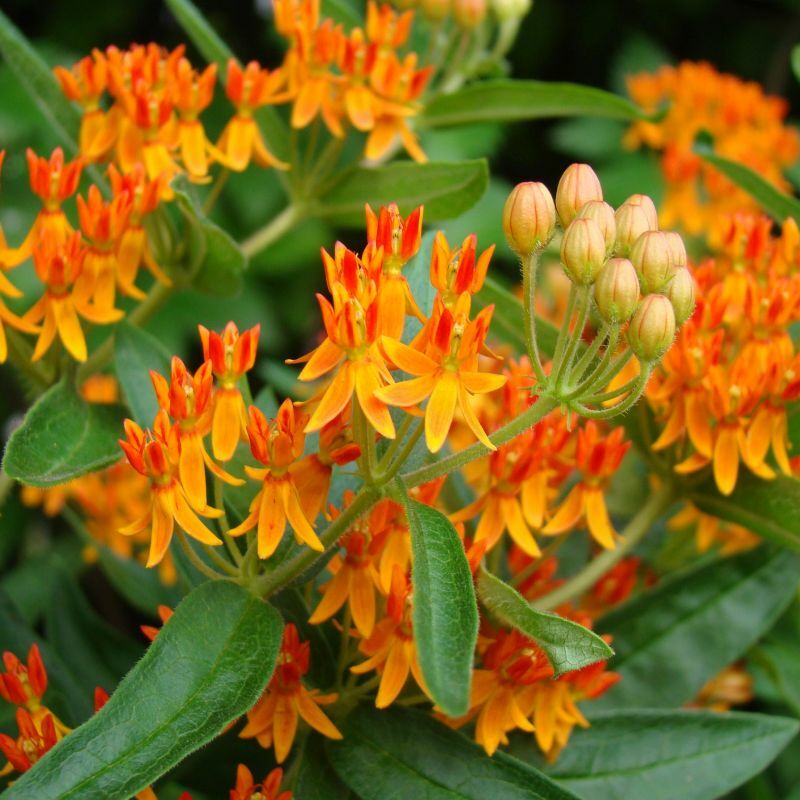 Easy to care for and hardy, Mystical Flame is a great choice for your yard today. *Abundant flowers*Fall color*Wildlife interest. Brilliant Magenta Lacecap HydrangeaThe Mousmee Hydrangea is part of the Macrophylla family also called “Big Leaf Hydrangeas” they are considered to be the most popular and showiest of the Hydrangeas.Japanese for “girl” the Mousmee Hydrangea has a beautiful flower structure with a delicate lacecap that will brighten any garden from June to August. 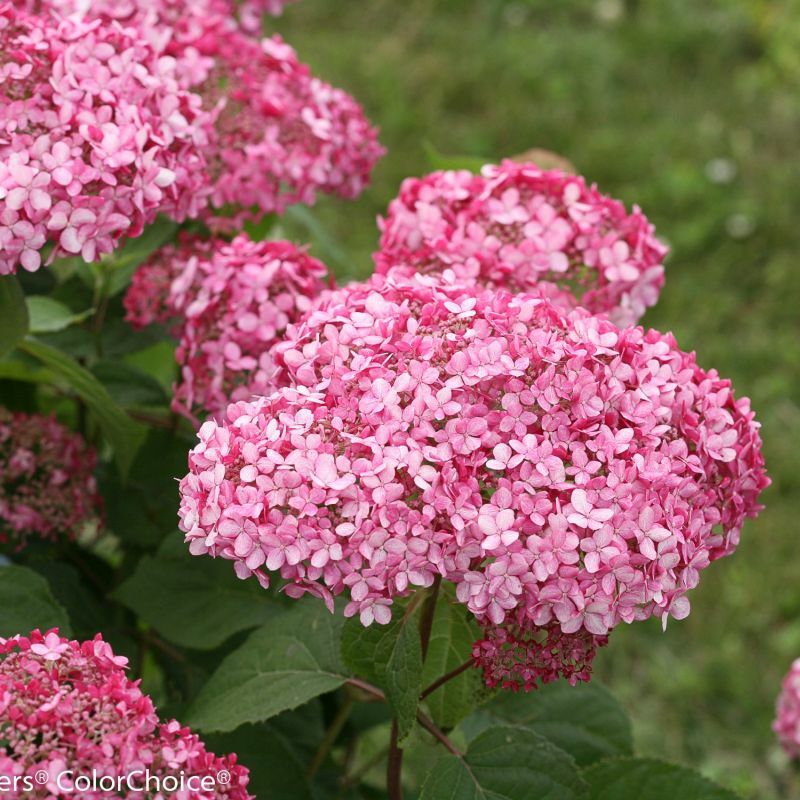 This shade tolerant shrub would be perfect to illuminate a shady side of a house or under a tree.The Mousmee Hydrangea’s blooms start pink and mature to a brilliant magenta. The florets add to the beauty with their contrasting blue hue. 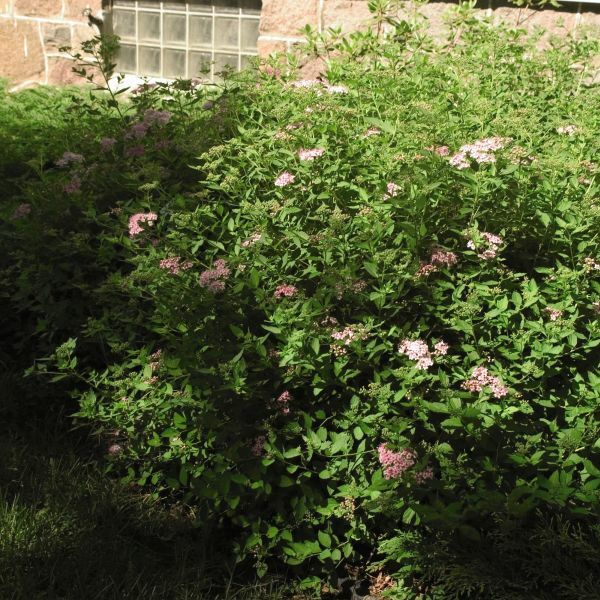 The flower clusters form on particularly long stems making it great for use in arrangements.For summer and fall color the Mousmee would be ideal as a border or hedge. It would add interest and color to flowerbeds and it would be stunning in mixed groups. *Long Blooming *Sun or Shade *Great Cut Flower.